Cardo is proud to lead the revolution in motorcycle communications with the Cardo SmartPack. 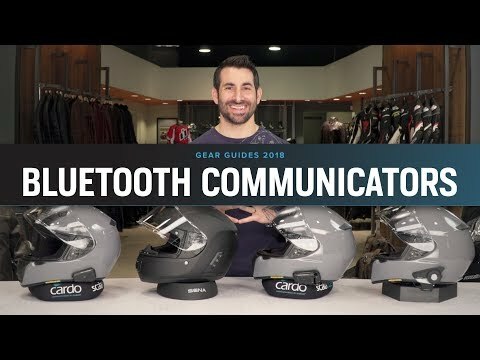 The Cardo Scala Rider SmartPack features both DMC (Dynamic Meshwork Communication) and Bluetooth technologies to give you the best of both worlds. Bluetooth mode enables you to communicate with non-SMARTPACK riders, operate your mobile phone, receive navigation instructions from GPS devices, and listen to music (via A2DP). DMC is a groundbreaking technology developed by Cardo to completely change how group riders communicate with each other. Instead of the traditional Bluetooth 'daisy-chain' intercom connection, the group is connected in a dynamic network to ensure that communication remains uninterrupted at all times. In SmartPack 's DMC Intercom mode, a group of 4 riders can communicate at a remarkable range of up to 3 miles / 5 km, and any of the members can leave / join the group, or receive incoming phone calls at any given time, without compromising the conversation for the rest of the group. ***A recently released firmware update expands DMC group size to 15 riders. The free Cardo Smartset App for Android and iOS devices enables the use of a smartphone as a remote control. It allows for operation of all main features such as A2DP, intercom, music, FM radio and mobile calls. The App also features multiple languages - English, French, German, Italian, Japanese, Portuguese, Russian and Spanish. The headset seems to be of good quality. I settled for 4 stars rather than 5 simply because this is an older device relatively. With that said, Cardo has done an excellent job supporting it with their updates so after the most recent firmware update you can be up and running. One thing that has potential for confusion is that if you use the most recent updates 2 critical things change with this headset. 1) The button control functions change slightly but there is an easy to follow guide on Cardo's website that clearly shows the new controls. 2) You must use the newer of their two apps or I see complaints of connectivity issues. Outside that this system has excellent sound quality, is very easy to use and does exactly what I wanted it to do. I've made phone calls and the recipient could not believe it was from within my helmet. I recommend this product. Went on a 1600 mile trip with 3 other riders that had older Cardio headsets. We connected through the Cardio App and through Blue Tooth. The older headset connected through BT and I connect through the APP. My phone died and then I connected with them through BT. The BT connection was a little tricky but it worked. This product created a safer ride. We coordinated with traffic hazards, direction, and had general conversation. It created a better ride. I have listen to music (via phone)(google play and pandora), radio was difficult (did not use it much or read the manual on the radio part), intercom worked great and phone call were outstanding. Great product. Added another motorcycle and two sons to the package. We currently enjoy the system and wanted to include, instruct and chat with the new rider. What is the difference between this and the PackTalk? Can I connect to headsets from other manufacturers? 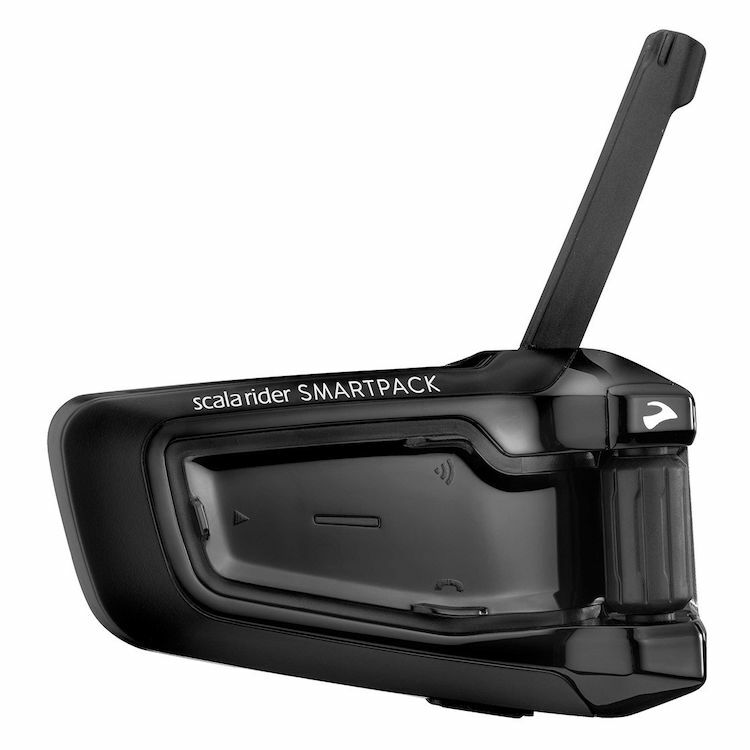 BEST ANSWER: Just to clarify, the SmartPack can connect to other Brands in Intercom mode via Cardo Gateway. The limitation is that if your group is communicating in DMC mode you cannot have someone with an outside brands connect. You would have to switch from DMC to BT Intercom mode. The PackTalk does allow other brands communicate into the DMC mode via its additional feature of the DMC Bridge. Can I connect to the rest of my group who are using sena with this device? Can I connect to them in DMC mode while being the only Cardo Packtalk? Does parallel audio only work in DMC mode? BEST ANSWER: The SmartPack can connect to other Brands in Intercom mode via Cardo Gateway. The limitation is that if your group is communicating in DMC mode you cannot have someone with an outside brands connect. Conversely, if you are the only Cardo unit and your friends are on other brands, DMC does not apply. You would have to switch from DMC to BT Intercom mode. The PackTalk does allow other brands communicate into the DMC mode via its additional feature of the DMC Bridge. 3) Don't know about parallel audio. Will this work in a Shoei Quest helmet? BEST ANSWER: Yes, this will fit in a Shoei Qwest just fine. Will this fit on an 1/2 helmet and can I use this for more than one helmet? BEST ANSWER: The headset comes with 2 microphones. A wired microphone for a full face helmet and a boom microphone for use with 3/4 helmets. Does the smart pack fit Schubert c3 , and shoei rf 1100? BEST ANSWER: I used to own a Schuberth C3 and now own a C3 Pro. I have the Smartpack installed on my C3 Pro. Yes it will fit these helmets, but you will have to use the adhesive mount included as opposed to the included clamp. This is due to the neck roll on the Schuberth helmets. Talk, that is with two others using Duo Pack? BEST ANSWER: Yes, this will work with the PackTalk. What model Arai helmet is this in the video? Can my passanger and myself listen to the same music while talking all at the same time? Can this be used on half helmets?